This page is outdated. Please refer to github.com/bgctw/logitnorm. 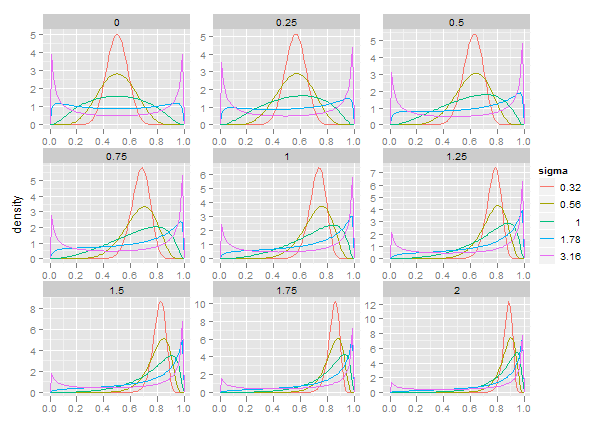 Density, distribution, quantile and random generation function. Estimation of the mode and the first two moments. 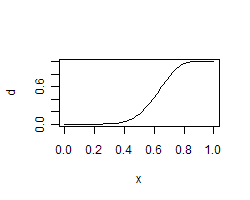 The logitnormal distribution is useful as a prior density for variables that are bounded between 0 and 1, such as proportions. Fig. 1 displays its density for various combinations of parameters mu and sigma. Fig. 1 Density for for various combinations of mu and sigma. Example: estimate mean and standard deviation. Generated by sweave on: 2010-09-17.